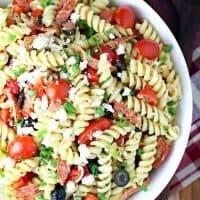 GREEK PASTA SALAD — Rotini pasta is combined with tomatoes, peppers, olive, feta and pepperoni, then tossed in an olive oil and vinegar dressing in this easy-to-make pasta salad recipe. 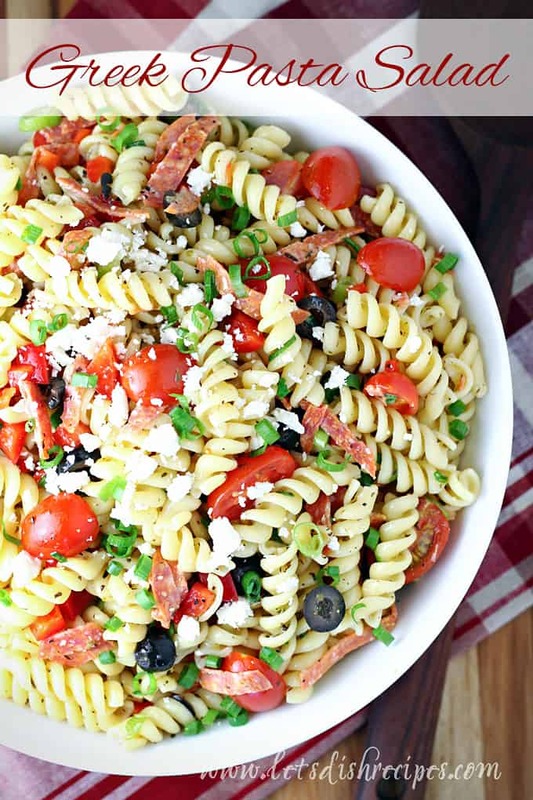 This Greek Pasta Salad is one of my favorite pasta salad recipes of all time. I’ve been making it for years, and it’s a tried and true recipe that is always a hit at church potlucks and backyard barbecues. I’m not sure what’s Greek about pepperoni, but it works in this recipe, so I’m not complaining. But you could always leave it out for a vegetarian version of this salad. I’ve recently discovered that Hormel makes pepperoni minis. They’re the perfect size for this salad, and you don’t have to bother with slicing up the pepperoni. I’m all for anything that saves time in the kitchen! During the summer, when I have some fresh herbs in the garden, I use those in place of the dried. And of course, you can always add more or less of anything to suit your tastes. Sometimes I add a diced cucumber if I have one handy. I often serve this dish as a meal with some crusty bread on the side. It’s perfect for those hot summer days when you want to make something light that won’t heat up the kitchen. 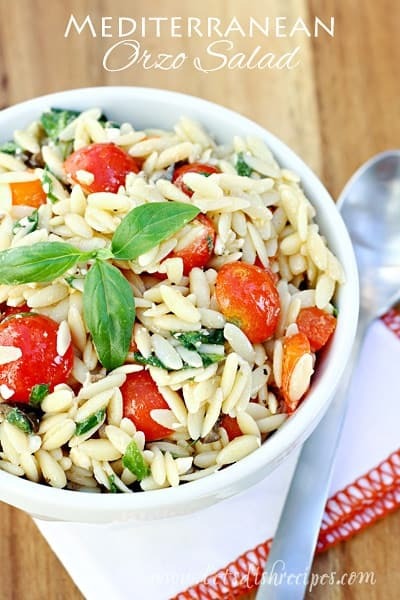 My husband is a huge pasta salad fan, and this is one of his most requested recipes. Like most kids, mine are still acquiring a taste for pasta salad, but this one does have pepperoni, which is a step in the right direction as far as they’re concerned. This salad can be made several days in advance, but I always like to taste and adjust the seasonings before serving. 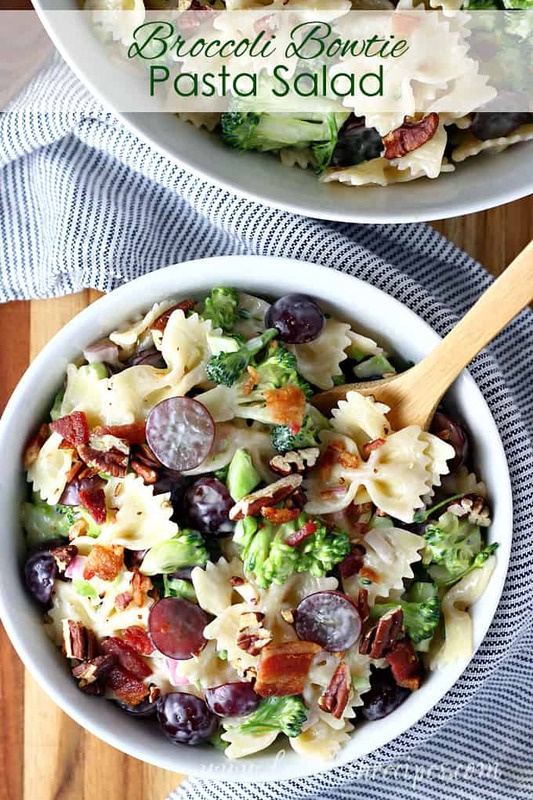 You may even want to add a bit of extra oil and vinegar, if the pasta has soaked up most of the dressing. 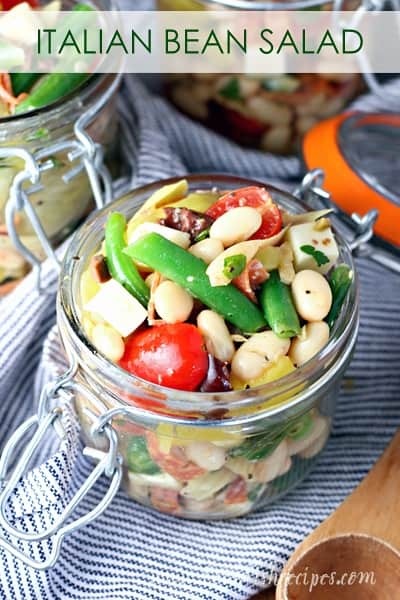 And since the dressing isn’t mayonnaise based, this pasta salad is perfect for picnics and other outdoor gatherings. Don’t be surprised if you get lots of requests for the recipe. Enjoy! Be sure to save this Potato Chip Crusted Grilled Corn recipe to your favorite Pinterest board for later. 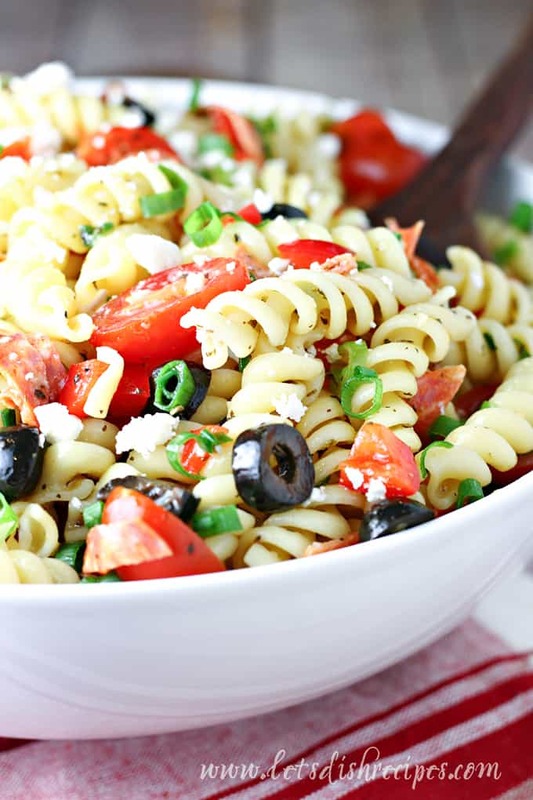 Rotini pasta is combined with tomatoes, peppers, olive, feta and pepperoni, then tossed in an olive oil and vinegar dressing in this easy-to-make pasta salad recipe. Meanwhile, in a large bowl, whisk together olive oil, vinegar, garlic salt, basil, oregano, black pepper, and sugar. Add cooked pasta, tomatoes, red peppers, feta cheese, green onions, olives, and pepperoni. Toss until evenly coated. Cover and chill 2 hours or overnight. We’re trying this out tonight for dinner! It looks beautiful! Just made this for my family last night and everyone LOVED it! The combination of flavors is fantastic. Great recipe and I will definitely make this again! mmm that looks SO tasty!!!! I swapped out the oil, vinegar and spices for Kraft Greek Vinegrette and it is so good! And fast! Also the Hormel Mini Pepperonis are perfect! I’ll have to try that Greek Vinagrette!